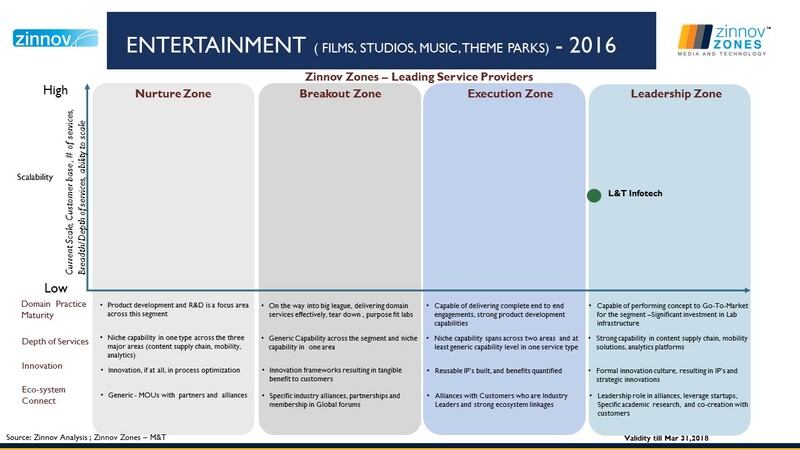 Zinnov Zones 2016 Media & Technology Report placed LTI in Leadership Zone for Entertainment, Broadcasting and Publishing Segments. Zinnov Zones is an annual rating from Zinnov of Global Technology Service Providers, to assess their prowess in various domains. This rating enables global business leaders to make informed decisions in partner selection across geographies for all of their M&T-related product and service initiatives. 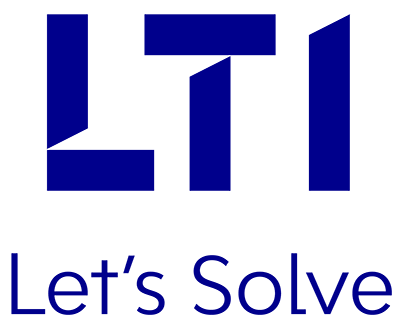 The Zinnov Media & Technology recognition is testimony to LTI’s commitment in creating innovative solutions for our clients’ businesses. Our innovation labs and Centers of Excellence (CoEs), coupled with our flexible & scalable approach, deliver comprehensive solutions to our M&E clients, making us a partner of choice in these segments. “We see L&T Infotech as a strong player in the Broadcasting, Entertainment and Publishing space. Rich experience in integrating point solutions and enabling end-to-end functionalities for client platforms, has been a key differentiator for them being rated in the leadership zone across all the three segments. Their in-house solutions addressing specific areas in the content value chain have been a key factor contributing to their growth story in this space”, said Sidhant Rastogi, Partner & Practice Head, Zinnov. Do visit our Media & Entertainment webpage, to know more on these cutting-edge solutions.